Plastic pollution is becoming an ever increasing and evident threat to the natural environment as Laos develops. Therefore at Mandala Ou Resort we have decided to 'do our bit' to greatly reduce our plastic footprint locally here in Nong Khiaw. Working in partnership with Trash Hero Laos and BambooLao, from 1st July 2018 we no longer provide plastic water bottles in our bungalows & restaurant, and we do not use plastic drinking straws anymore. Instead, we provide temporary high quality refill aluminium bottles for guest use during their stay at Mandala Ou. We encourage our guests to buy these at check-in, for a small charge - ready to continuously use & refill during their onward travels. Two free water refill stations with clean, cold drinking water are located at the reception area for use of by our guests 24/7. Since July 2017 we have also replaced 100% of plastic drinking straws with handcrafted & local community-produced, reusable bamboo straws. We offer these for sale as a beautiful memento gift package, wrapped & labelled in traditional Lao mulberry tree paper. And finally - all of our local suppliers of fruit, vegetables and foodstuffs are being provided with reusable cloth carrier bags to deliver their daily supplies, in order to vastly reduce one-use plastic bag consumption. Trash Hero Laos creates sustainable, community-based projects that remove existing waste, and reduce future waste by inspiring long-term behavior change. Trash Hero Laos is the newest regional chapter of the Trash Hero movement in SE Asia. The Trash Hero movement links communities all over the world. Our network is concentrated in Southeast Asia, in Thailand, Indonesia, Myanmar, Malaysia and Singapore, but also extends into Europe, Africa and the USA. Each chapter brings together residents, businesses, government agencies, schools, tourists and other stakeholders to take positive action on waste. 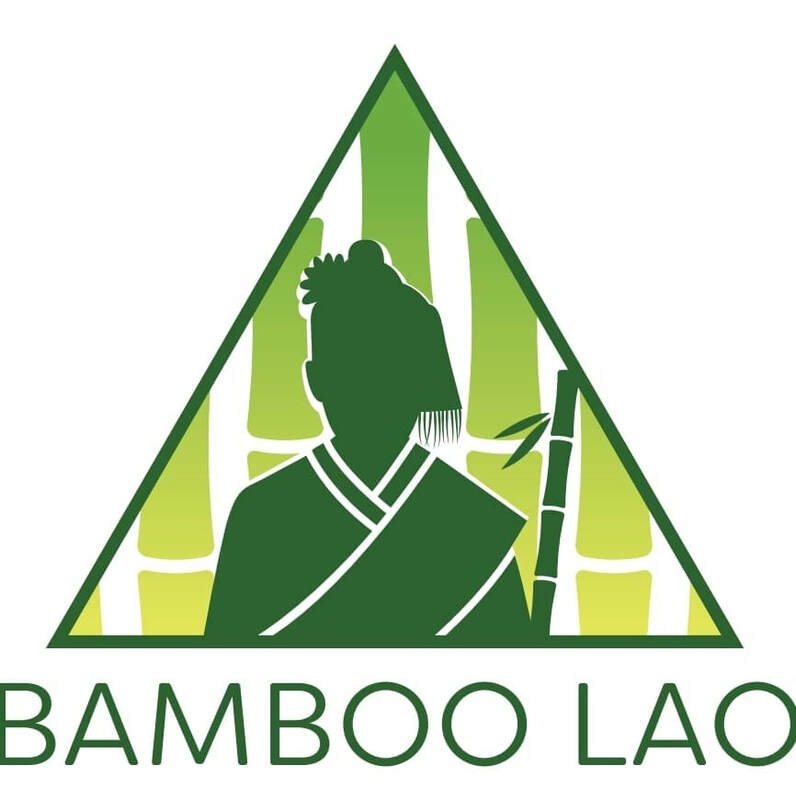 Bamboo Lao is a group of people with different backgrounds and education who share a common environmental awareness. We are not a project, we are a challenge and we want to challenge you. Bamboo is the fastest growing plant on the planet with numerous applications in medicine, construction and food. With a low cost of maintenance and no need for artificial fertilizers for optimal growth, bamboo is a sustainable option for reusable drinking straws. BambooLao is situated in Ban Done Kang, Luang Prabang, with the ethnic group of the Khmu’s who are well known as hunters and gatherers. The locals of this village have learnt the ancient ways of the forest and discovered the secrets of bamboo. We work together with the village to harness their great potential of producing bamboo straws and support them in a mutual way by providing an exchange of knowledge and a new source of income. 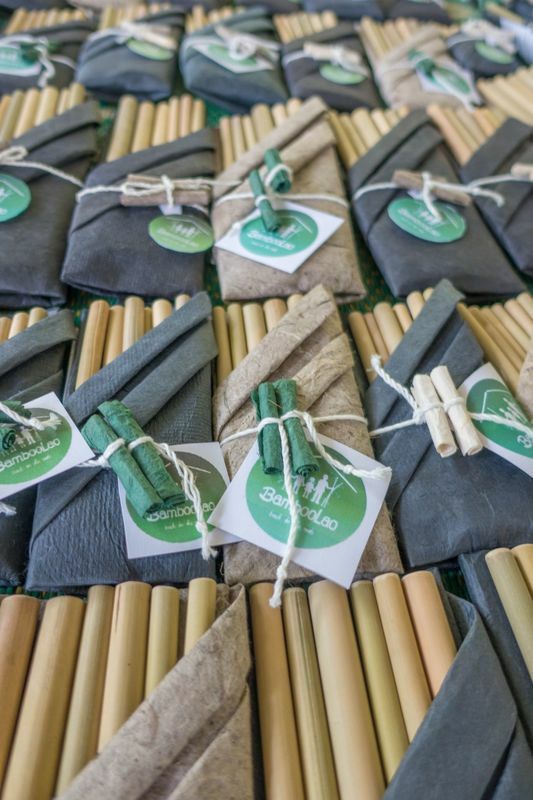 Our goal is to replace plastic straws in Laos and beyond with reusable bamboo straws, which will provide opportunities for villages and greatly reduce plastic waste.